Join us for an evening of music and conversation as part of the New York Guitar Festival. Featuring a stellar lineup of performers curated by New Sounds‘ John Schaefer, who also hosts the evening. Rez Abbasi: Born in Pakistan and raised in the U.S., Rez Abbasi was voted “#1 Rising Star Guitarist” in the 2013 DownBeat Critics Poll and placed among the “top-ten Guitarists” in 2015’s poll. He moves freely between jazz, Indian classical, Western classical, and world music. His albums have featured notable guests like Vijay Iyer and Rudresh Mahanthappa, and he also serves as producer and music director for the award-winning world music singer Kiran Ahluwalia. He performs on acoustic, electric, and fretless/microtonal guitars. Derek Gripper: The astonishing South African guitarist Derek Gripper transcribes works for the 21-string West African kora to six-string guitar. 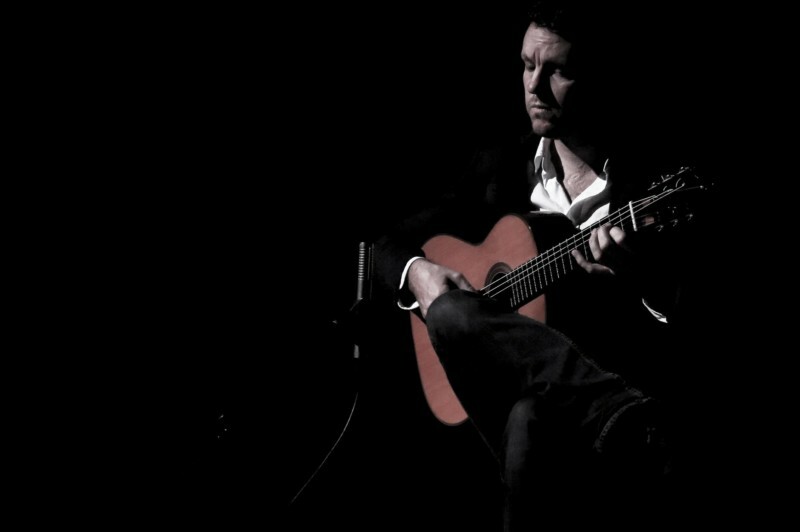 His 2012 album One Night on Earth: Music for the Strings of Mali has been extolled for its “depthless beauty” and “dream-like improvisatory nature.” Gripper’s studies of Indian music, Brazilian music, and the works of Steve Reich have colored his recordings and performances, and redefined the sound of South African guitar music. Kaki King: Hailed by Rolling Stone as “a genre unto herself,” composer and guitarist Kaki King is a true iconoclast. Over the past 10 years the Brooklyn-based artist has released six extraordinarily diverse and distinctive albums, performed with such icons as Foo Fighters, Timbaland, and The Mountain Goats, and contributed to a variety of film and TV soundtracks including Golden Globe-nominated work on Sean Penn’s Into The Wild. She performs on acoustic, electric, and lesser-known members of the guitar family (parlor guitars, etc. ), and has recorded albums of songs and albums of instrumental works featuring her virtuoso “tapping” and “slap-bass” techniques. In addition to her own solo work, Kaki sometimes performs accompanied by NYC-based string quartet ETHEL. She also recently performed a Carnegie Hall premiere of a classical piece commissioned by Pulitzer Prize-winning composer David Lang. Glenn Jones: Glenn Jones is a master of American Primitive Guitar, a style invented in the late 1950s by John Fahey, whose traditional fingerpicking techniques and wide-ranging influences were used to create modern original compositions. Jones, who led the post-rock ensemble Cul de Sac, brings his own madeup tunings, the use of custom-crafted partial capos, and a highly skilled picking style on both banjo and guitar, to create personal compositions that are lyrical, emotive and elegant. What sets him apart from the myriad guitarists playing today is his ability to tell stories with the guitar and banjo, and to convey a range of emotions. This process starts with the compositions themselves and carries through to his selection of recording environment and engineer. Wind down each night with an hour of unusual music from artists, composers, and traditional musicians – all gleefully oblivious of their genres. Hosted by WNYC’s John Schaefer.